A few days ago I posted about how I wanted to get back on the fitness wagon. After way to much food and drink over Christmas, a change in lifestyle is definitely needed. I have said it before and it has not really amounted to much, but this time I mean business. 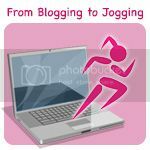 I want to start running again, but I think it’s going to be tough because my fitness levels are pretty low at the moment, so I think I might start off with something I do everyday…. Walking. 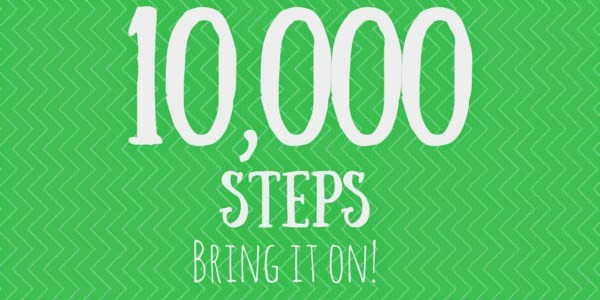 The NHS recommend that for a healthy active lifestyle, you should aim for 10,000 steps a day. Hold on a second…. Is it just me, or does 10,000 steps not sound absolutely huge? I can’t imagine I do anywhere near that amout of steps in one day. Although, to be honest, I really have no idea how many steps I do, but I’m almost certain it isn’t anywhere near the recommended amount. I think I’m going to set myself a little challenge, and see if I can achieve 10,000 steps on Tuesday. I have an appointment at the occupational therapist with Neil in the morning, and after that I’m going to go out for a walk with my camera to try and get some nice shots. I’m going to wear my pedometer all day and see if I can do it. I wouldn’t usually walk much in a normal day. I do walk to work, but it’s only a 5 minute walk, and once I’m there I spend most of my day at a desk before walking home. I would like to get out walking more, but you know how it is when you have finished a day of work, and it’s dark outside, going for a walk is the last thing on your mind. There really is nothing stopping me on my days off, but I usually don’t use my time well. If I’m not at work, and the kids are at school, I would like to use my free time to do some more blogging, but often find that I don’t have much motivation to do much. I’m thinking if I can get out for a nice long walk in the cold winter air it should give me a bit of energy for the rest of the day, and help me focus myself a bit too. That is one of the reasons I like to walk, because it really can help to clear the mind and get a bit of focus. The fact that it is also a good form of exercise without being too intense is great too. Like I said before, I really have no idea how many steps I would usually take, so maybe this is going to be really easy and I’ll look a bit foolish setting myself this big challenge. On the other hand, maybe it’s going to be more difficult than I imagined. Only time will tell! Do you think I can do it? Have you ever counted your daily steps? What are you doing to get fit? I would love to hear your stories! Well done on beginning with your steps. How has it gone? I want to get fit too, but not sure where I should start. Good luck! I do LOVE walking at the moment though!! I recently starting trying to walk half an hour a day on the beach near us. It does wonders for my mood and really sets me up for the day. So enjoy it! !